I know I'm not alone. The November and December issues were always my favorite. I was just flipping through some old ones today. Remember this house? It was in the Nov. 2006 issue. This was my first introduction to Cottage Living and I looked at this home for LONG time. We had just gone under contract on our current home at the time. And I wanted it to feel like this house. 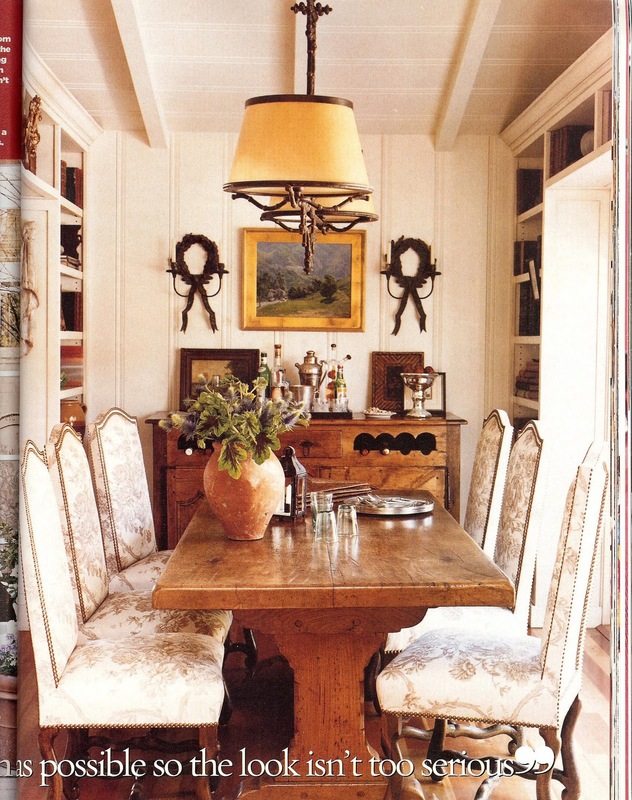 This is still one of my all time favorite dining rooms! I was never cool enough to pull off the Domino look. I was never wealthy enough to afford the Traditional Home look. Cottage Living was just right. I've recently resubscribed to Southern Living, but it's just not the same. There are far bigger problems in the world, this is true. and wishing I was flipping through a new Cottage Living while my baby sleeps. And just in case you miss it too, I thought you might enjoy reminiscing with me. This is my first comment on your blog. I found it after reading Holly Mathis's post on your living room. I miss Cottage Living too! I needed the inspiration when my husband and I purchased our 976 sqft home! I *need* those dining room chairs! Did you ever read Southern Accents? I miss that one SO much!!! Found you through Holly Mathis. Love your blog. I miss CL SO much!! This house looks like Heather Chadduck's work. 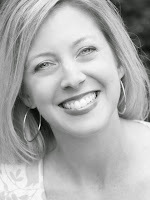 She's the editor of Coastal Living now, so you can see some of her work there. Her bedroom is in Southern Living this month, too. I just found your blog tonight through "Cottage and Vine" and I was thoroughly enjoying going through all of it. When I came to this post I had to say too that I miss Cottage Living. It was my favorite. I had a subscription...which says a lot because I usually just buy off the rack, making sure a magazine has plenty of good in it before I purchase. But I thought every issue of Cottage Living was packed full of stuff I loved. 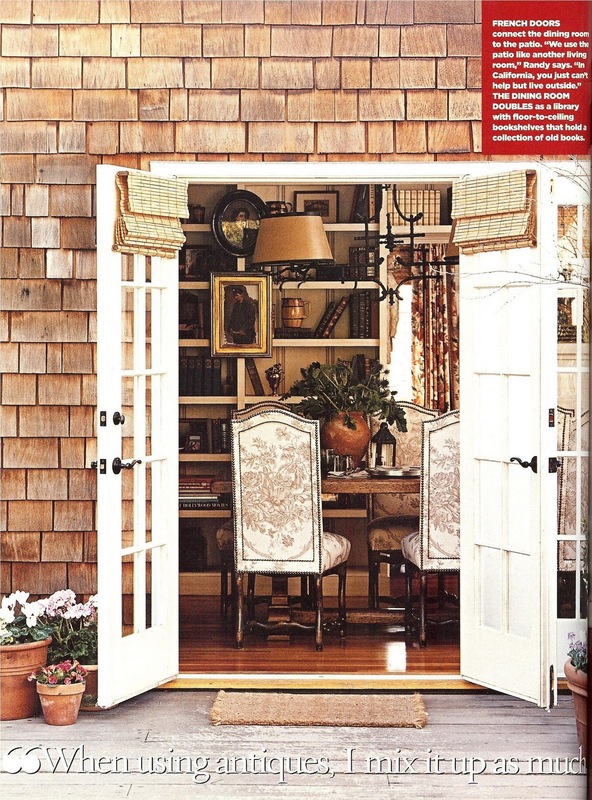 I too bought a subscription to Southern Living, hoping they would add more of the Cottage Living content. And I felt like they did for awhile, I'm guessing because they had stuff ready for Cottage Living that wouldn't be used...but now I think it's slipping back the other way and I did not renew. 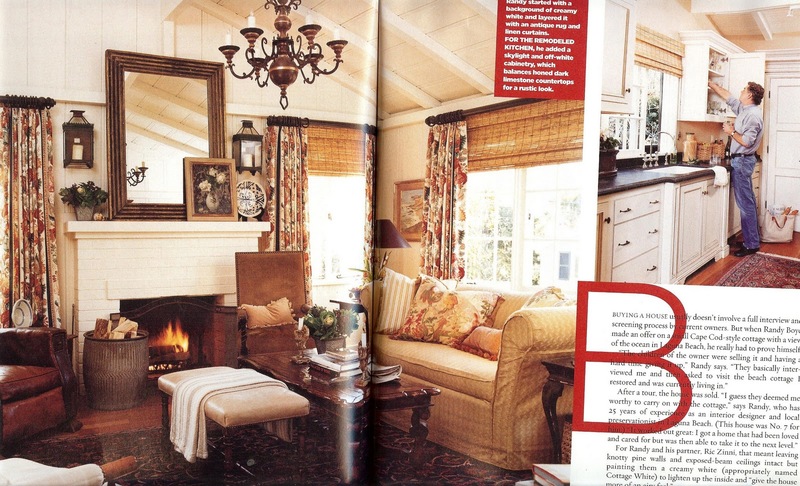 I know this post was a gazillion years old but I've been perusing your old posts and stumbled on this post about missing Cottage Living magazine. Me too. The page you have the magazine open to is of my all time favorite house, not too far from my house, and the owner/designer is Randy Boyd. I love his home in Laguna Beach. I just had to drop a note. I've subscribed to your posts now and I promise I'm not a stalker, but so many of the inspiration images you share, not to mention your own home, are such parallels to my own taste. I also have 2 sons. It's been fun reading about life in Ohio. My dad was born there. Anyway, hope you're having a great week.